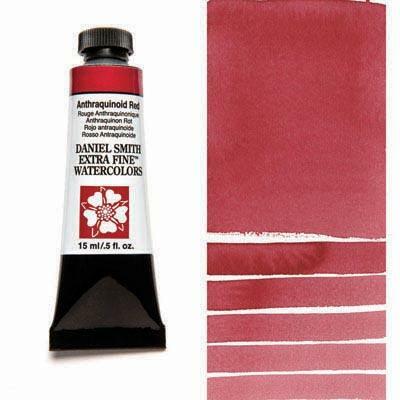 Warm violet-red, this slightly granular, super-staining vat pigment is one of DANIEL SMITH’s greatest creations. Anthraquinoid Red is bold and dashing. Deep and cool enough for a variation on shadow tones, this impressive red-violet has an amazing range. Mix with water to achieve a whisper of cool red perfect for rosy skies and blushing cheeks. A transparent color, Anthraquinoid Red glazes beautifully for added richness and depth. Anthraquinoid Red offers artists a vibrant, luminous pigment that retains its excellent permanency rating even in thin washes.